A fun, healthy meal for your family! Bring large pot of water to boiling. Slice the zucchini in half, lengthwise. Once boiling, place the zucchini flesh-side down into the boiling water and boil for 2 minutes. Remove and repeat until all zucchini halves are boiled. Place on paper towel to drain and pat dry. 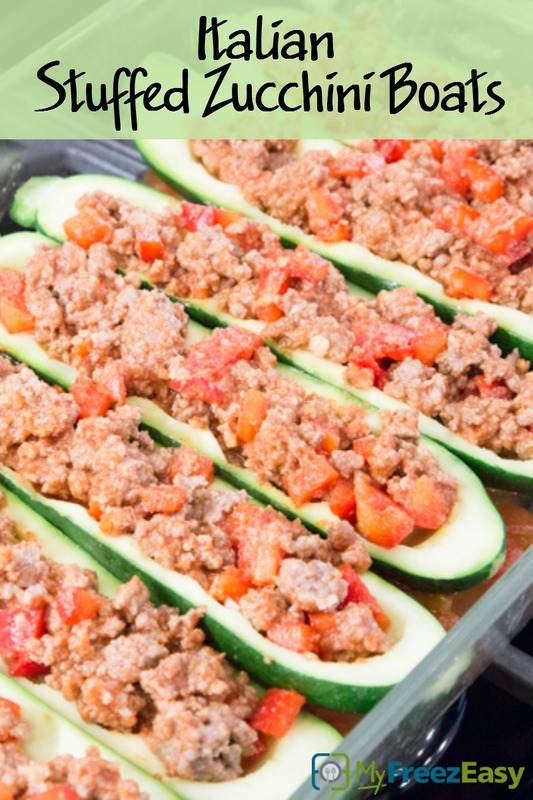 Using a melon baller or spoon, scoop out the flesh of the zucchini and place into baking dish. In a large skillet, brown the ground beef with the chopped red bell pepper, minced onion and garlic powder. Once browned, drain and then stir in the marinara sauce. Let simmer for a few minutes. Spoon the beef sauce into the zucchinis and top with Parmesan cheese. Bake in the preheated oven for 15 to 20 minutes. 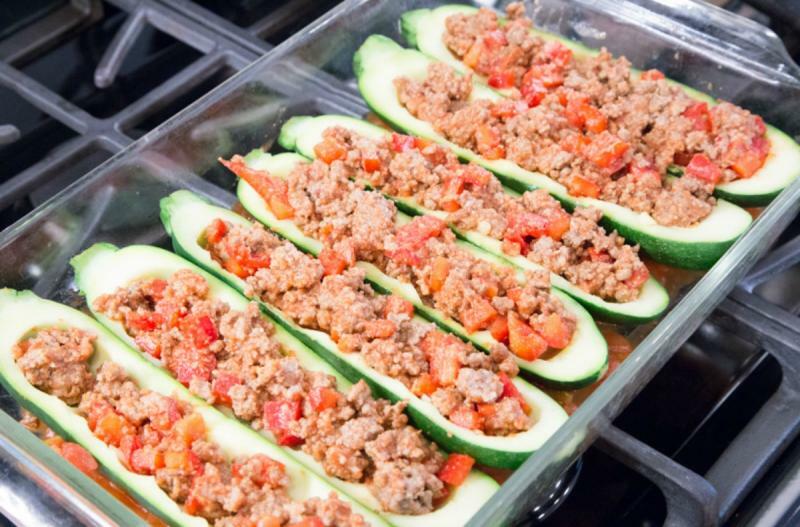 Serve Italian Stuffed Zucchini Boats with basil garnish and side salad. Seed and chop 2 red bell peppers. Brown 2 lbs. ground beef with the chopped red bell peppers, 2 Tbsp minced onion and 2 tsp garlic powder. Drain and then stir in 2 cups marinara sauce. Omit the cheese for Paleo meal. Omit the Parmesan cheese for dairy-free meal. Thaw completely and bake at 350 F for 20 minutes.